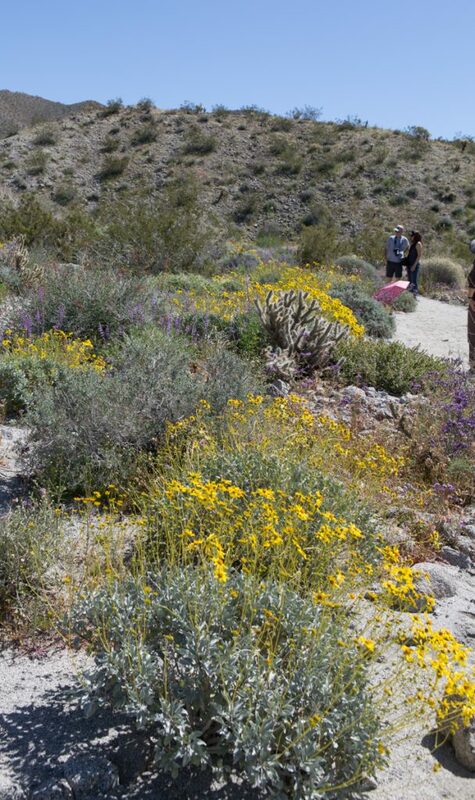 The wildflowers along Andreas Canyon Trail in Palm Springs area are just starting to bloom. On Friday afternoon, I hiked the Andreas Canyon Trail located in Indian Canyons. The trailhead is easily accessible and is an relatively easy trail to hike. 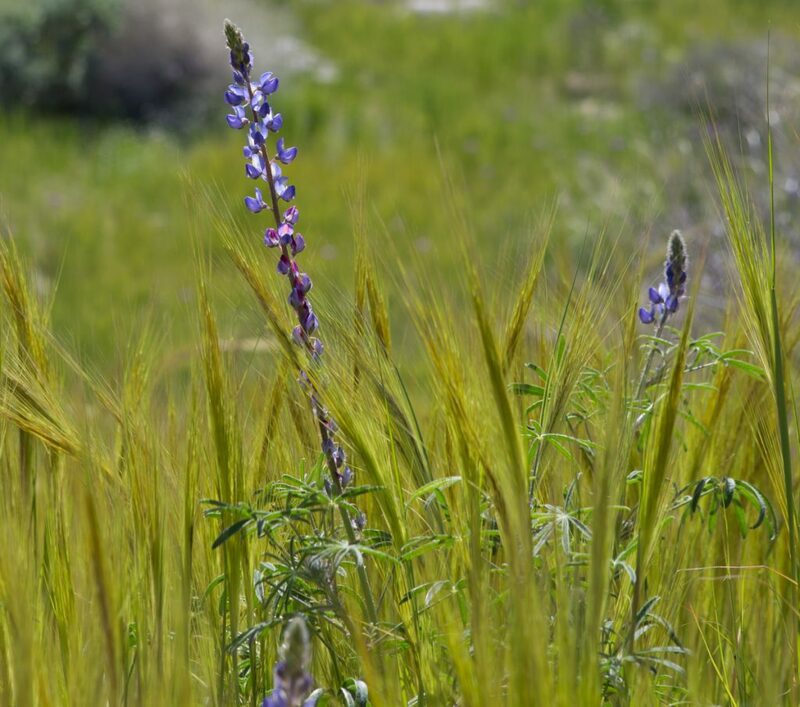 Lupine was just starting to show in the grassy area of the upper trail. I was surprised to see that the Super Bloom is just getting started along this trail. A few Brittle Bush were in bloom, but there were a lot more buds than yellow blooms, indicating the peak bloom there will happen over the next 7-10 days and into April. 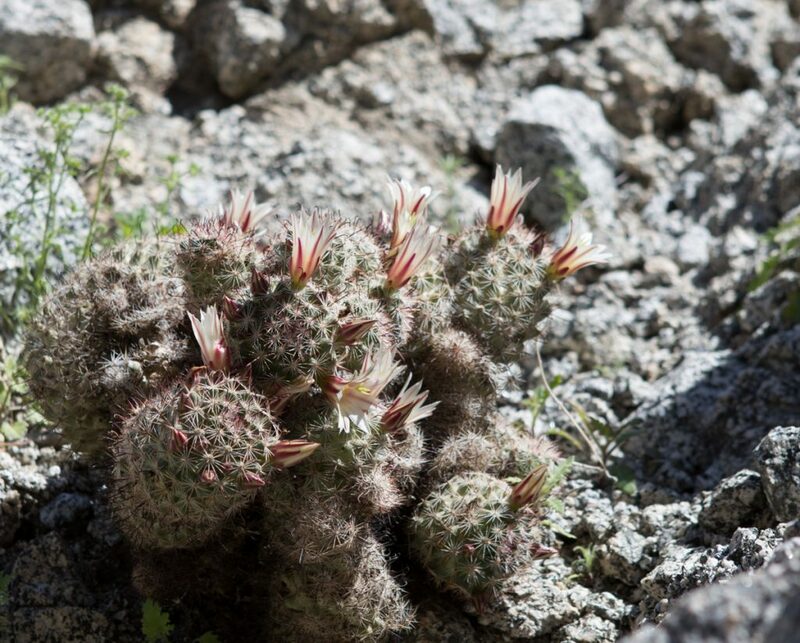 There was one Beavertail Cactus in bloom high on a rocky cliff near the palm oasis section of the trail. 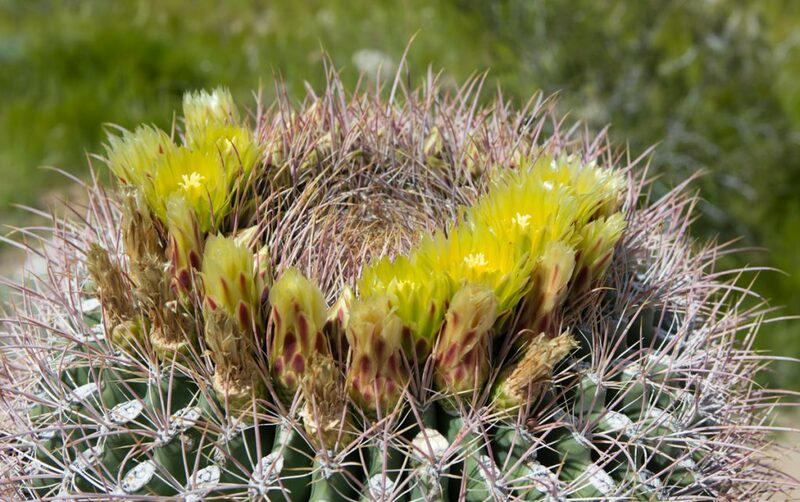 I also saw a single Barrel Cactus in bloom along the upper trail that runs above the stream. Chia, brittle bush, Apricot Globe Mallow, popcorn flowers, Canterbury Bells to name a few, were just starting to come alive with color. I would recommend this trail in late March and the first week in April to see the best wildflower displays. 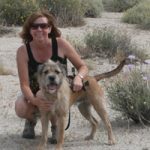 On Saturday, I hiked the Randall Henderson Trail in Palm Desert. 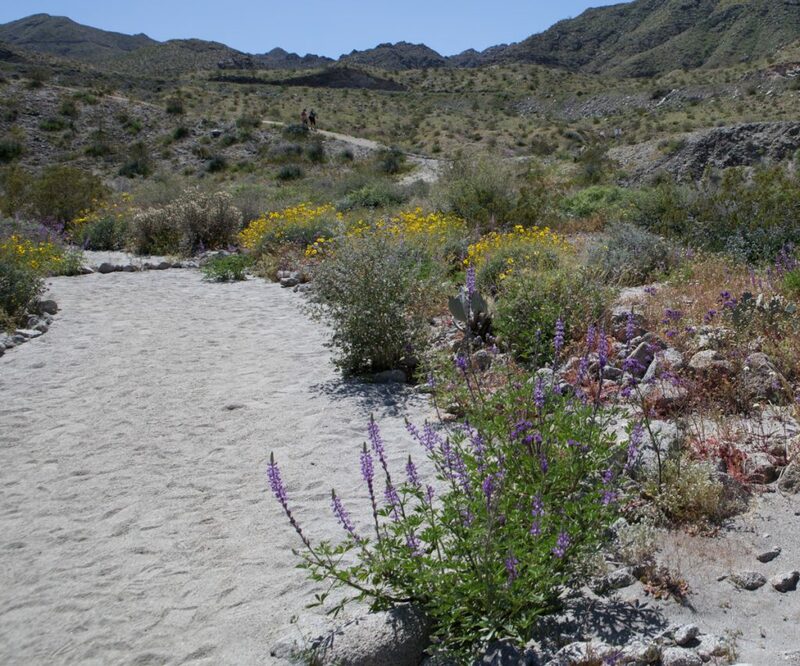 It is easily accessible from the Visitor’s Center Parking Lot located off of Highway 74 in Palm Desert. The trail is a 2.5 mile loop that starts at 1000 foot elevation and climbs to 1,425 at the highest point. 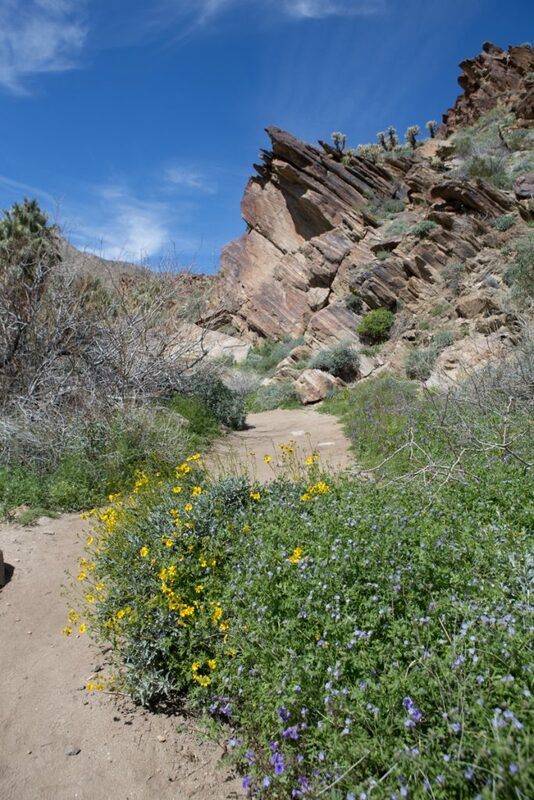 The best wildflower displays are about a 1/4 of the way into the trail in a sandy wash. The trail is in full bloom now, so if you can get there over the next few days, you will experience the peak of the bloom. This section of the wash approximately 1/2 mile or so into the trail is the best display of wildflowers in full bloom. I was impressed by the variety of flowers blooming along this trail. 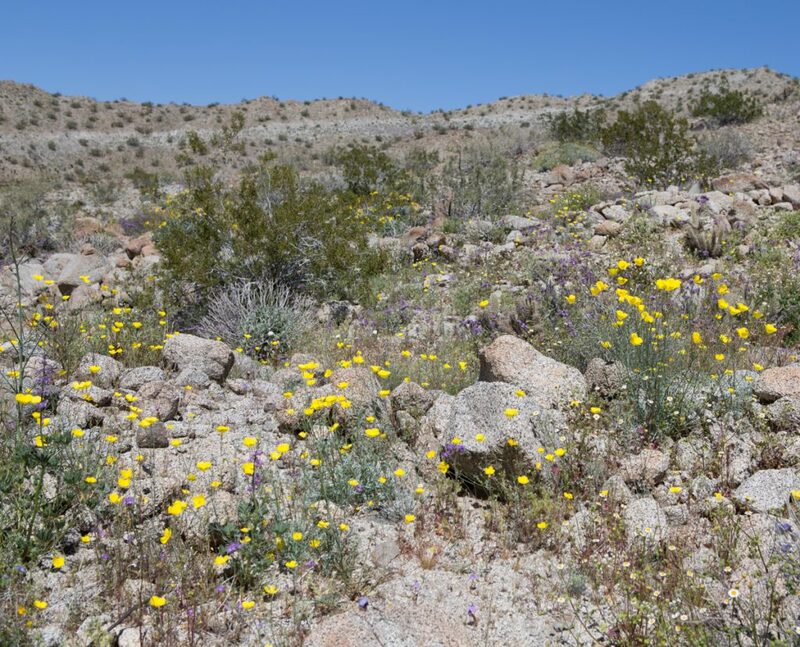 There were brittle bush, desert lavender, beavertail cactus, fishhook cactus, poppies, lupine, chuparosa, Brown-eyed evening primrose, a few ghost flowers, desert chicory, Desert stars, desert pincushion, popcorn flower, rock daisies, and more. 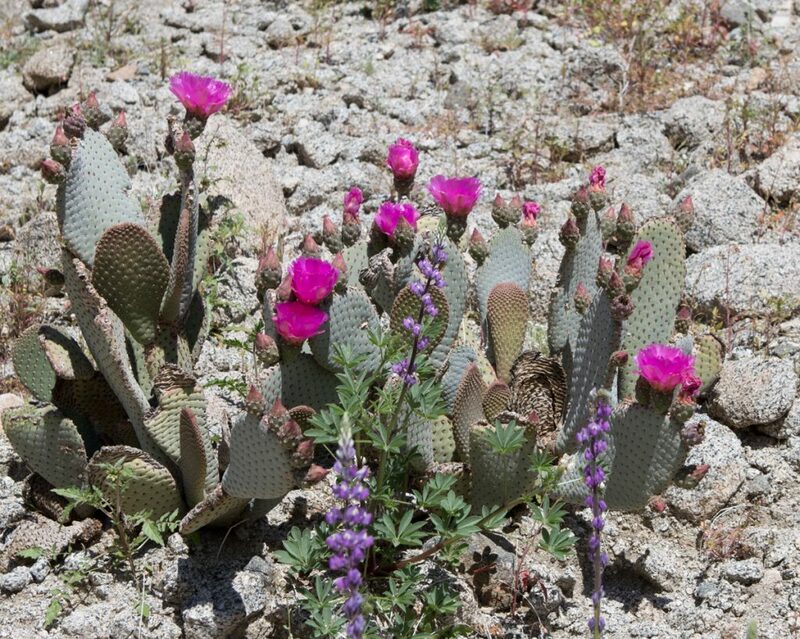 Beavertail cactus in bloom were abundant and there were many with buds waiting to bloom. 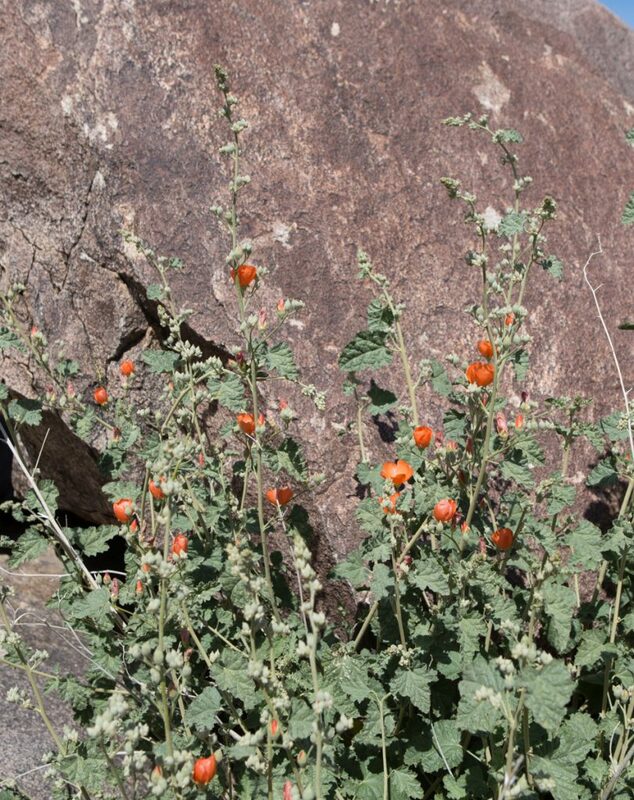 Poppies are on the left side of the trail a bit further up the wash along the slopes. The trail takes you through a sandy wash and then it starts to climb.